Dr. Dixie Van Eynde is a counseling psychologist whose work in leadership development has spanned 20 years, multiple functions and a variety of industries. 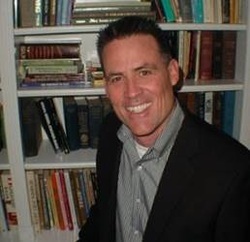 Dr. Van Eynde has worked as an adjunct coach with the Center for Creative Leadership since 1993, and has provided assessment-based coaching for individual leaders in the medical, food production, grocery, railroad and real estate development industries. She has a small private practice and business, Career Enhancement Strategies, LLC. Additionally, she partners with other business leaders to provide services to their clients in executive coaching, career transition coaching, career assessment, retirement transition coaching and leadership development. Dixie studied English and religion as an undergraduate at Texas Christian University and received a master’s degree in speech communication and human relations from the University of Kansas. Her doctorate in counseling psychology is from Teachers College, Columbia University. She is a Counseling Psychologist, licensed in Texas. She is also a certified coach following a year-long intensive training program she completed in 2006. She worked for many years in university counseling centers providing therapy, educational workshops and career and leadership development with students. Her abiding interest and passion, however, has been in career development. That interest ultimately led to the work she is doing now. In addition, she has done work in the field of organization development helping a variety of organizations with planning retreats, visioning processes and team building workshops. 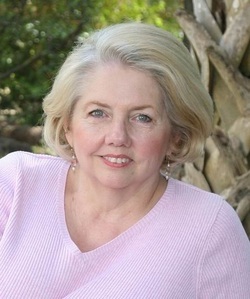 Dixie has been active in the local psychological association having served on the executive board for seven years including a year as president. In 2001, she was named a Fellow of the Bexar County Psychological Association. She is a member of the local coaching association and is actively involved on the board of LeaderSteps, a leadership development program for high school seniors in her hometown. From 1984 to 1988 Dr. Van Eynde co-edited with her husband the OD Practitioner for the national Organization Development Network and served on the Board of Trustees during those years as well. They also co-edited a book called Organization Development Classics, published in 1997, and most recently published an article about the history of OD since 2000. Barbara Baggerly-Hinojosa, Ph.D., is a wife, mother and educator living in the Rio Grande Valley of Texas. She is a graduate of Our Lady of the Lake University with a Ph.D. in leadership studies. Dr. Baggerly-Hinojosa’s current research is on the relationship between high school principal leadership and high school student dropout rates, as well as on gender issues in leadership. She conducts leadership training seminars in business, education, healthcare and governance fields. 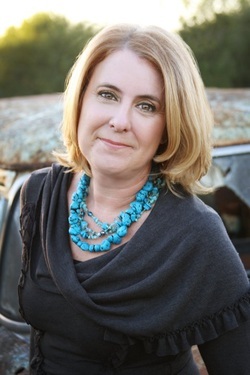 In addition to the training seminars, she is a guest writer for The Mercedes Enterprise newspaper, RgVision magazine, and blogger for oneinabillionconsulting.com. Pamela Miller is an Executive Leadership Development coach, consultant, speaker and facilitator specializing in Core Energy Leadership and Emotional Intelligence. Drawing from her experience in retail operations management and as a senior executive in corporate operations, she has developed and led leadership development programs that help leaders and their organizations improve their emotional intelligence, engage in dynamic communication, create high-energy relationships and improve employee engagement. 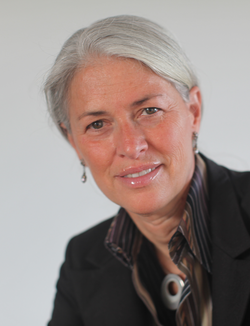 Miller’s one-on-one coaching has helped executives and managers at all levels develop their leadership skills including the ability to transform “position power” into “personal power.” She has worked with managers and executives in various positions including corporate and non-profit executives, scientists, academics and community advocates. Her clients include executives, managers and teams from companies as diverse as Zurich Global Insurance, ConocoPhillips, Hess Oil, Sun Trust Bank, Southern Methodist University and Texas Health Resources. As a senior executive for nearly two decades with Neiman Marcus, she led divisions with over 700 employees from over 30 countries, managed multi-million dollar budgets and developed policy and procedures that improved bottom line costs while enhancing customer service. She graduated from the Institute for Professional Excellence in Coaching (iPEC), an ICF-accredited Coaching Program, with more than 340 hours of course-related work and hands-on training. She works with clients one-on-one, in workshop environments, and through online tele-classes. Topics vary and are tailored for the specific industry or needs of the client. Frank Leitzman has over 10 years of experience as a transformational facilitator and coach. He is a graduate of the Institute for Professional Excellence in Coaching (iPEC) and is a certified Energy Leadership Master Practitioner (ELI-MP). Leitzman began a financial career in 1993 in the heart of the U.S. financial district training on Wall Street with one of the nation's largest financial institutions. Currently serving as senior advisor with a national Commodities Trading Advisor (CTA) firm, he brings over 19 years of strategic financial planning and tactical application expertise to his clients. Upon achieving his bachelor’s degree, he was commissioned as a Lieutenant in the United States Air Force Reserve from the University of Southern California. He continued on to serve our country as an F-16 fighter pilot for over two decades. He capitalizes on his years of experience as a professional aviator, financial advisor, coach and corporate trainer to evoke a genuine, heartfelt commitment within his clients as they successfully navigate their way to financial and personal success. He utilizes a unique comforting style that is easily understandable, comfortable and yet vibrantly empowering. Many of his clients refer to Leitzman as their "Possibility Coach!" For 23 years as a USAF F-16 Pilot and Joint Firepower Instructor, he taught and advised senior level and general officers on U.S. Air Force / U.S. Army combined combat tactics. He developed the skills required to energetically connect and deliver vital concepts to a very scrutinizing audience. As a financial advisor, he is able to translate his military experience seeking safety in high-risk environments into carefully orchestrated financial plans for his clients, and convey those concepts simply, yet with profound purpose. Through his coaching of senior level executives in Fortune 500 and 100 companies, as well as base-level management within those same companies, he has developed a genuine touch for accessing and empowering the true "inner person" regardless of position or status … everybody wins!